Ok all you sock knitters, tell me, just how many pairs of socks do you currently have on the needles?? Are you faithful to having only one pair? Or do you switch it up and have a plain vanilla and a more complicated design always on the needles? Or do you just don't care? I currently have three pairs of socks on the go, but yesterday I got my Cookie A Sock Club yarn in the post. 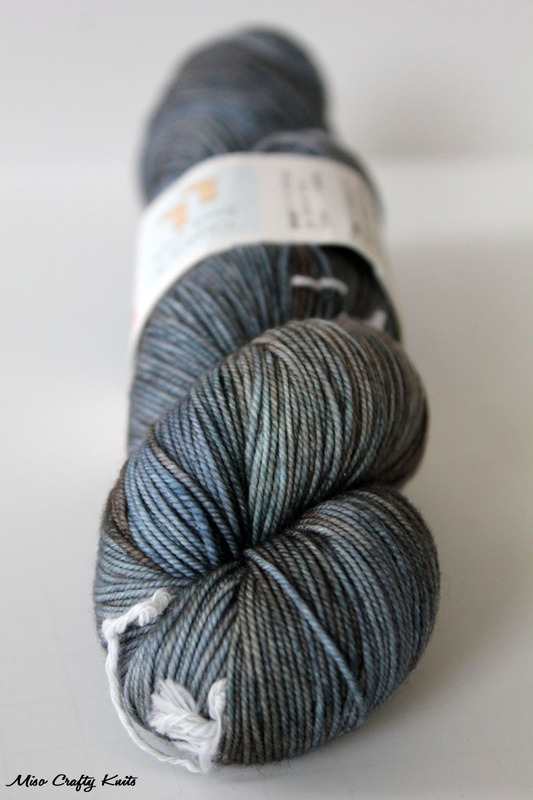 I was bad and took a peek at the spoiler photos on the Ravelry group forum, and couldn't wait for my skein to arrive. When I saw the package in the mail box yesterday I got so excited that I had to rip it open right then and there. The colourway is so gorgeous and much more than I had expected it to be. I've never knit with nor been in the presence of Socktopus yarns before and now I'm dying to cast on another pair of socks. One of the Cookie A patterns that accompanies this skein of yarn is called "Nanaimo" (yup, it's named after the city right here on the island!! Cookie A has family in Nanaimo and the dyer of Socktopus originally is from there. It's a two-fer! ), and I'm just itching to cast on. But I'm kinda preventing myself from doing so. I mean, I have three socks going and none of them are even close to being finished. Do I really need to add another WIP to that sock pile? Not to mention that I have two cardigans that are kinda on a deadline (and by deadline, I mean they are part of KALs) and the last thing I need is something else to take my attention away. Live dangerously - cast on!! Life's too short not to knit what you want, when you want - I agree with Areo, live dangerously! I couldn't stop staring at this colourway. Just got mine yesterday and spent some quality time petting it. Isn't sooo soft! I couldn't stop taking photos of it! Such a gorgeous colour and a fabulous yarn! I think I've added to the WIP pile...but not with the pattern I was hoping to knit! Eek!